accessories RND RND accessories New line of accessories from RND should be making some of you smile! New line of accessories from RND should be making some of you smile! Right out RND we've got some accessories for you that I'll be talking about over the next few weeks. Car chargers, wireless charging dock, new USB-C single port travel charger and a 4 USB port smart charger that includes USB-C! The new year usually brings a slew of new accessories and must-have gadgets. Maybe you're like many and you need to revamp your own accessories? 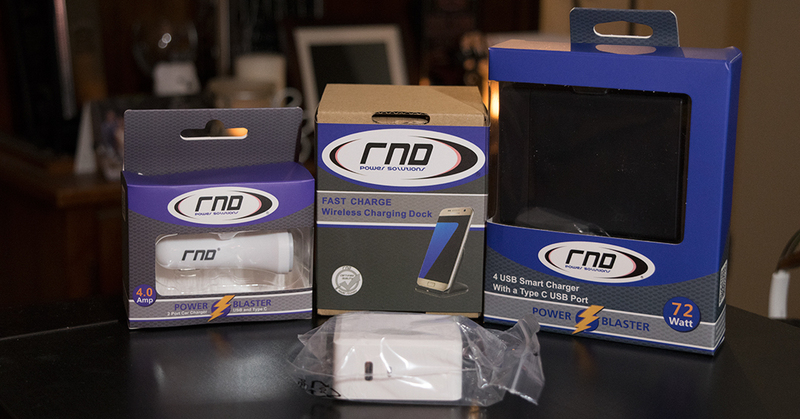 Regardless of the reason, RND is a very reliable source for all your accessory needs. While under review, you can enjoy a %15 discount at RND using the promo code AndroidC. Care to follow other interesting topics I may have? Head over to www.cryovex.com.